Welcome! 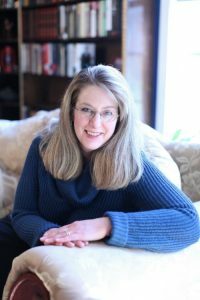 I’m Jeanne Grunert, “The Marketing Writer,” president of Seven Oaks Consulting and a full-time freelance writer and journalist. In 2007, I left my executive position at McGraw-Hill to embark on a journey that would take me to a 17-acre farm in Virginia and back to my roots as a journalist. I combine my experience and knowledge of marketing, management, and business with my writing talents to craft award-winning marketing writing and articles for my clients worldwide. I offer freelance writing services, ghostwriting services, copywriting services, article writing, and specialty journalism for print and web publications. It is such a great pleasure to work with Jeanne! Her talent has added great value to the projects we have worked on together. She is a consummate professional and her attention to detail is superb. Jeanne’s ability to see the big picture and put it into words is extraordinary. Her unique skill set and expertise allows her to take complex thoughts and ideas and make them sound interesting and engaging to the reader. Jeanne flat out gets it. She possesses the creative talent, intuitive insight, and proven marketing skills to translate any idea, no matter how vague, into effective copy and impactful messaging. We’ve hired Jeanne for numerous projects and we keep coming back. And hundreds more websites, blogs, newspapers and magazines. Business Journalist: All types of business journalism including non-profit management, accounting, leadership; entrepreneurship and startups; technology including ERP, SaaS, and business intelligence. My articles on business topics have been featured by GoDaddy, Fit Small Business, Office Pro magazine, and many others. Marketing Writer: I hold advanced degrees in marketing and have 30 years of experience working in marketing agencies. I write about content marketing, branding, and digital/direct marketing as well as write marketing materials themselves for clients to acquire, retain, and create loyal customers. Health and Wellness Writer: I write extensively about vegetarian, vegan, and plant-based diets, and follow a nutritarian diet. Other aspects of wellness that I love writing about include alternative medicine, herbalism, and addiction and recovery topics. My work has appeared in OurHealth, The Herb Companion, and Mother Earth News magazines. Horticulture Journalist: One of my passions is gardening, and I offer extensive horticulture journalism services. I am a columnist for Virginia Gardener magazine and have published articles in Dave’s Garden, LovetoKnow.com, Herb Companion, Mother Earth News, and Virginia Gardener. Equestrian Journalist & Pet Writer: As a former competitive horseback rider and show groom, I understand the world of English riding including hunters, jumpers, and dressage. I write about horse breeds, riding skills, training, stable management, health and more. I also write about dogs, cats, and tropical fish. Ready to view samples of my work or request a quote? Visit my public sample page with links to published articles online. Or, contact me with your project idea and request a price quote. Prices start at $50 per blog post/or per hour. Freelance writer, magazine writer, marketing writer and journalist in Prospect, Virginia.